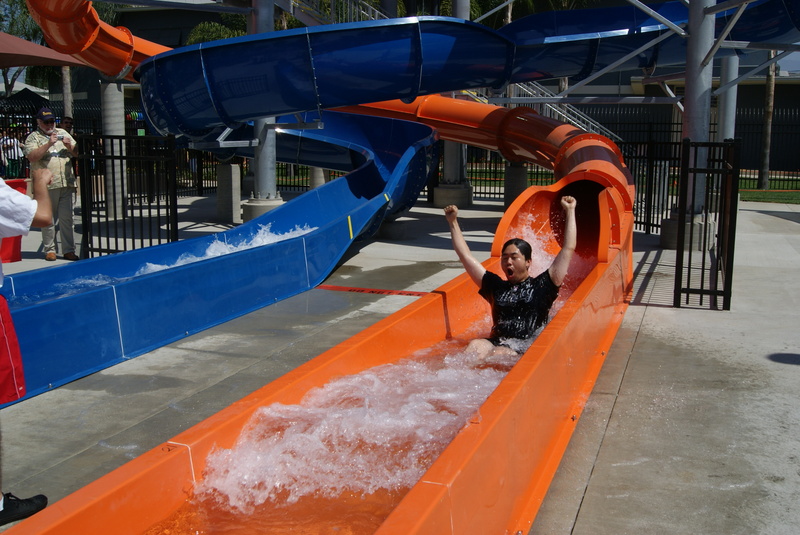 It was a fun day for the residents of Rosemead on Saturday, July 9th, 2011, when the City of Rosemead reopened the first of two state of the art aquatic centers at GarveyPark. The lines were long but everyone was really excited to be able to experience all this park has to offer. The new water park includes 2 water slides, 2 splash pay areas and a 1,500 square foot lesson pool. The Zone also includes picnic accommodations and a new building that houses lockers, showers, and offices. 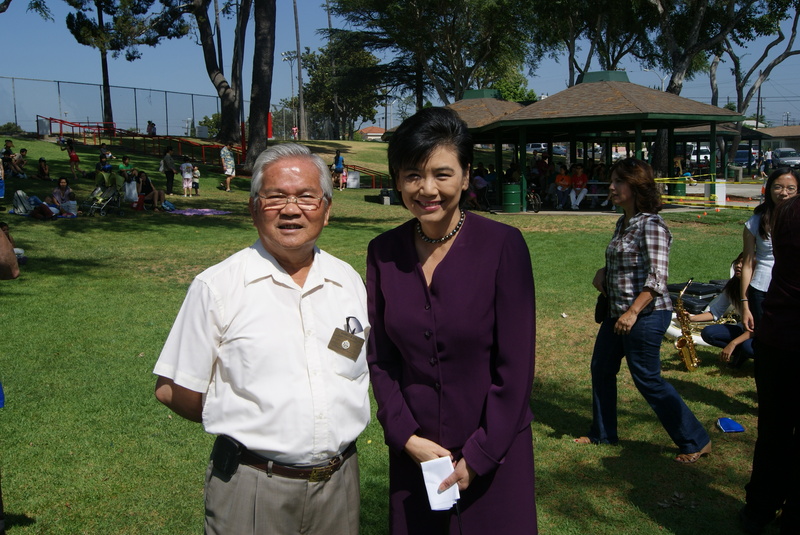 Honored guests at the opening were Congresswoman Judy Chu and Senator Ed Hernandez, along with the Rosemead City Officials, Mayor Steven Ly, and Council Members Sandra Armenta, Polly Low and Bill Alarcon. Congresswoman Judy Chu and Senator Ed Hernandez presented the City with certificates of recognition for this fantastic addition to the city. The Splash Zone is located at 3233 Kelburn Avenue, and is open for recreational swim from July 10th thru September 5th, Monday – Friday 12:30 – 3:30 p.m. Tuesday and Thursday evenings from 6:00 – 8:00 p.m., and Saturday and Sunday from 12 noon to 4:00 p.m. It is also open September 10th, 17th and 24th (Saturday and Sunday) from 12 Noon to 4:00 p.m. The entry fee is $1 for ages 17 and younger ($20SeasonPass) and $2 for 18 years and older ($30SeasonPass). Family of 6 Season Pass is $50. 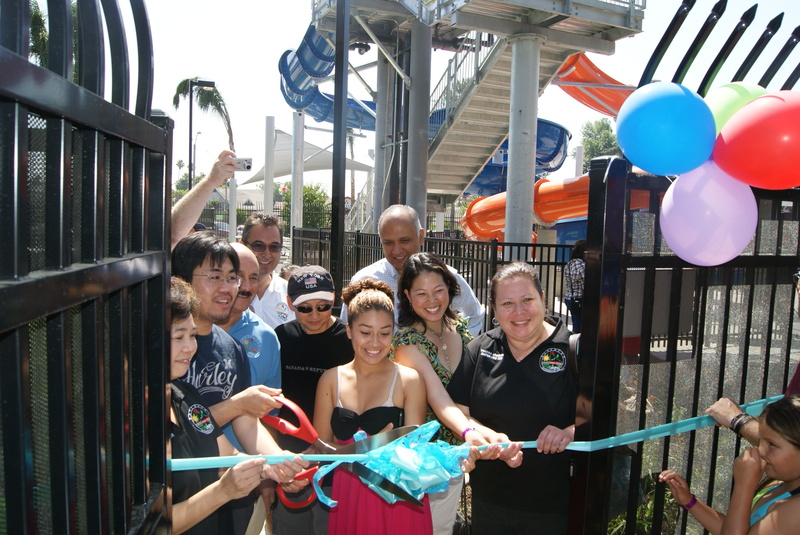 The opening for the new and improved Rosemead Aquatic Center at 9155 E. Mission Drive will be August 13th, 2011.